In a world that is changing at an accelerated speed thanks to the availability at affordable price of powerful technologies such as Artificial Intelligence, Big Data, Cloud Computing, Blockchain & IoT, many industry will undergo major Digital Enabled Transformations, while a real and continuous revolution is ongoing in the way people live and behave in relating to others, both in the real and virtual world. While Larry Page and Sergey Brin (Google’s founders) were anticipating that the availability of tera bytes of information would require extremely effective and powerful search engines to tap into such an ocean of data, by accident, Mark Zuckerberg created Facebook. This phenomenon has tapped into the need to communicate and stay in touch from remote locations, while on the road, with friends and in general people with similar interests: more than 95% active users currently access Facebook through their mobile devices. How can a corporation use these social networks to its benefit in scouting for talent in the future? And do these media represent an opportunity or a threat to Executive Search firms? Can Executive Search firms still add value to the process of identifying and attracting the right and best talent? The first important point to acknowledge is that the way people live and develop has fundamentally changed over the last 50 years. Every time technology has introduced a new medium, the scope and impact of such introduction have always been broader and more pervasive than before. The combined effect of mobile communications and availability of internet have changed, yet again, in a quasi disruptive way, our lives to the point where the need to be connected “anytime, anywhere” has become compelling. The degrees of separation among people have been reduced despite the substantial growth of the global population. Zoominfo (mainly in UK), Experteer, Spoke, Naymz and similar, should represent an opportunity in terms of access and identification of people whose profile might match the required specifications. Public profiles vary in the level of details provided, either from a career history standpoint and/or from a content description perspective, titles often being misleading. Profiles are frequently out of date. Only very few people – and rightly so – provide compensation information - which is a key factor in qualifying the level of potential interest an individual has in considering a move to a new job. Some networks indicate the candidate's willingness to consider a career move, but this can be misleading for several reasons, as on one hand the individual might have simply forgotten to tick the box, while in other cases filtering on this factor can be wrong as often the best candidates are the ones whoare happy in their role. Very few individuals highlight their soft skills,or areas of expertise; again, this doesn't help to trim down the number of potential candidates. Recommendations are normally a good way of cross referencing, although most of the time such recommendations are reciprocal and it’s unlikely that you wouldn’t recommend someone that is offering to reference you, so further checking is required. In addition, there is very much a cultural aspect to this. In the UK or in the US, this is more of a custom than in continental Europe for example. No indication is offered of psychometric assessment, making it difficult to judge whether or not the candidate has a personality profile that matches the requirements. Once a recruiter has gone through the identification process, the next step is to contact the target candidates. The easiest and cheapest approach is to ask for a connection on one of the social media. Most social media only allow this communication to take place if you already have some type of link to the individual you are targeting - former colleague, schoolmate etc. Having a broad real – and virtual – network, will also help to acquire introductions to an even larger network. Once you have acquired the virtual link to the individuals you are targeting, one can use, at a price, the messaging capability of the social network system to communicate with the candidates. But at this point, confidentiality is lost, and one can be perceived as poaching competitors and/or partners if you are a corporate recruiter. Consequently, to leverage such social networking tools, it is necessary to be well acquainted with the industry of the targeted candidate and have a track record and network in the real world, which often is not the case within corporate recruiters - who, although almost always smart and well educated people, sometimes lack the specialized business knowledge and understanding to make sound decisions about the candidates they are meeting. This is one of the pitfalls of internal recruitment teams. 1. Consultants will have the network and therefore have access to broader populations than corporate recruiters on social media. 4. Consultants can assess the value of the candidates according to their level of business or functional experience, assessing personalities, required competences and skills. One of the most relevant tasks of the Head Hunter is in fact “selling” the job to a candidate, especially when he/she is perfectly happy in the current position and not willing to consider a move. From this stand point, using an external consultant offers a crucial advantage: the company doesn’t have to cope with a refusal, while a candidate feels comfortable in being open and express his stand point, as he/she is in generally interested in remaining on the radar screen of the search firm in case of a more compelling job with another client or changing circumstances. As important, are the seniority and subject matter expertise that Executive Search firms bring to the process, essential ingredients for a successful search. Last, but not least, among the resources available to an executive, time is the most precious: identifying candidates, contacting them, "developing them" (as the head hunting jargon goes), following up on meetings, thorough independent evaluation, providing meeting feedback, reference checking etc. are all time consuming tasks. The use of social networks doesn't change that. To summarize, corporate recruitment teams can today, thanks to social networks, have easy access to a wealth of profiles. To handle the full recruitment process internally still entails a time consuming candidate development phase, issues of confidentiality, and presupposes a high level of expertise in candidate assessment. External Search consultants still have their place in this context in providing the research and candidate development resources (people and time), confidentiality and expertise. But one can wonder whether the Executive Search industry will need to evolve with the further development of social media usage. It is essential, for instance, to continually improve the tools used in order to reduce the response time in introducing a short-list – except for a few very highly specialized jobs, a turn-around time of more than 6 weeks is no longer acceptable. Interviewing tools will continue to evolve: the quality of online video communications will likely enable more interviews to take place over the internet versus in person, saving time and money. The quality and content of status reports, candidate short lists, candidate reports, have to enable the Hiring Manager to effectively use his time and be in the position to take an informed decision as quickly as possible, given the speed to which the companies have to adapt to an ever changing competitive environment. Reports have to be to the point and precise. Clients might wish to monitor the advancement of the search process in real-time, in which case a reserved access to the Search Firm Cloud Based Information System can be granted. Easy recording capabilities may enrich the way to introduce candidates to clients. 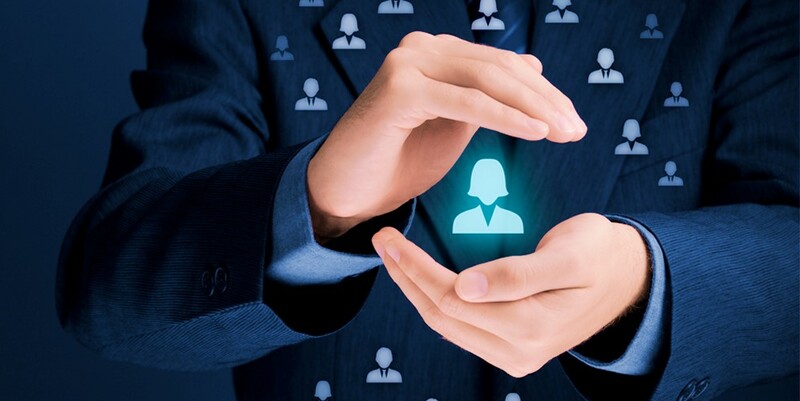 Competence in the specific customer industry becomes a must to better qualify Candidates’ network and perform an effective and thorough reference checking – very difficult to do for companies’ internal recruitment departments. The focus will be on quality rather than volume: for middle management positions, hiring managers will continue to tap into their own networks to approach candidates directly without even involving HR in the identification phase. Therefore either search firms will on one hand, only be involved for roles which are particularly strategic, or confidential, or, on the other become Business Process Outsourcers. As a result, business and pricing models will need to evolve. Search firms will have to be innovative. Of course special facilities have to be put in place and not all the players might be ready or available to address these issues. One thing is sure: Executive Search firms have to engage themselves to operate within this changing framework. Otherwise they might be missing the boat. At Hightech Partners, we are well down the track of exploiting Cloud Computing, social data, voice and video communications and internal systems based on Web 2.0 and related platforms. We believe this will enable us to continue to provide a premium service to Clients in the Technology sector at competitive prices and record turnaround times.